INSIDE GREETING: May all your wishes come true. Our greeting cards are custom printed at our location in Seattle, WA. They come bagged with an envelope. We love illustration art from old children's books and early, printed ephemera. These cards reflect this interest in bringing delightful art back to life. it is surely commercial. 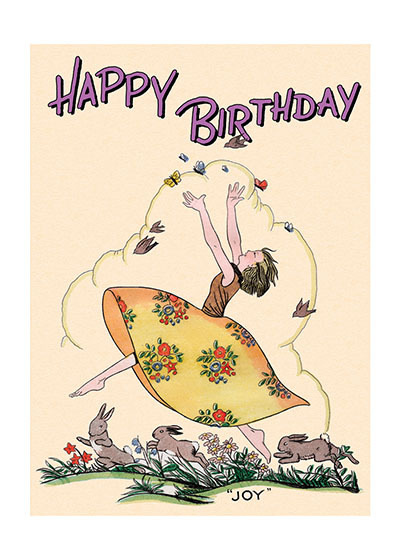 This young lady's high spirits as she leaps with her animal friends is infectious and most appropriate for birthday greetings.